As a designer in an advertising agency, much of my design skills are focused on print advertisements. However, I am in the beginning stages of a website redesign―my first website since being out of school. That being said, my web knowledge is a bit rusty. As I began brainstorming for the site design and researching about web trends, I came across a bit of information that was VERY helpful. Though it was only 4 years ago when I was in school, I was taught about “web safe fonts” and how if I wanted to use anything more “fancy” I would have to use it as an image… which isn’t exactly helpful for users searching for your site or SEO. This bit of information that was so helpful to me was the concept of Google fonts. Now, if you are heavy into web designing then you’re probably thinking this is old news… that may be true, but I wanted to post this as a helpful tip for others (like me) who have been out of the web loop for a while. So, what is Google fonts? Google fonts is a directory of fonts released under open source licenses. (English translation: you are free to use these fonts on any commercial or non-commercial project.) It was created to allow developers to use high-quality fonts on their websites. Rather than relying on fonts installed on the website user’s computer, these fonts are stored on Google’s servers. That means that when you use these fonts on your website, it accesses Google’s servers to display the font on the user’s screen (just as your website accesses your web server to display images on your site). Can I download these fonts onto my computer? Yes, you can download these fonts using the “Download your Collection” button. This will allow you to design with these fonts in Photoshop (or the like) as you design your web pages. What browsers are Google fonts compatible with? Will Google fonts work on mobile devices? Google fonts work on most mobile operating systems, including Android 2.2+ and iOS 4.2+ (iPhone, iPad). Every time a new year rolls around we hear about the resolutions people are making. “I’m going to be healthier!” “I’m going to be more organized!” Nine times out of ten, these resolutions don’t make it to February. I’m not judging… I’ll be the first to admit I’m not the best at sticking to New Year’s resolutions. This year, I thought I might try something new when making my resolutions. Instead of focusing on personal matters, I’ve decided to focus on my graphic design side. 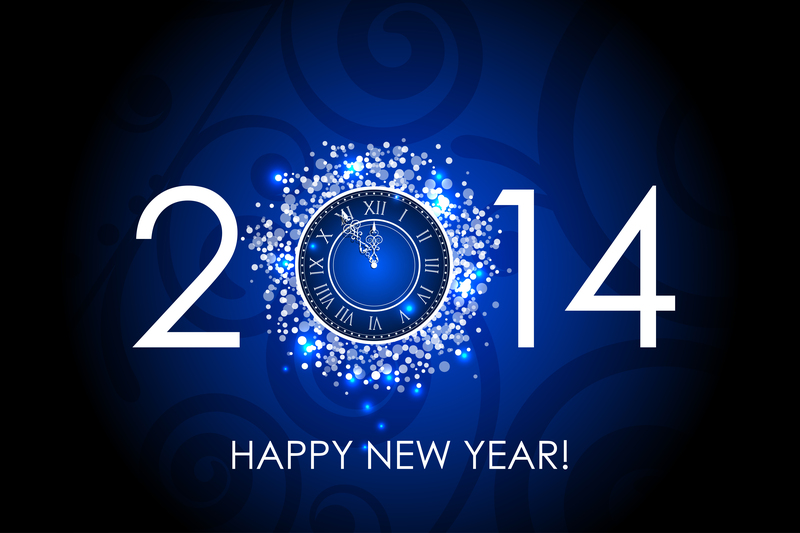 I’ve compiled a list of great New Year’s resolutions for graphic designers for 2014. It’s probably not a realistic goal to accomplish all of these in a year, but if one or two grab your fancy, then give them a shot! 1. UPDATE YOUR PORTFOLIO – You know it’s been sitting there collecting dust all year. Drag it out and update it with your amazing work… you never know when you might need it! 2. TRY A TUTORIAL – No matter how much you know, there’s always something out there to learn! Maybe you try a Photoshop or Illustrator tutorial… or stretch out of your comfort zone and try something that’s a bit more artsy. Maybe a paining tutorial? 3. GET OUT – Inspiration can come from anywhere, but it can’t come from the same place forever. Get out of your office or your house… go explore a park or a new place. It may spark some interesting and creative ideas! 4. NETWORK – Whether you’re meeting new people face-to-face or you’re on a social media site or blog, networking can do great things for your business. You never know where you might meet your next client… so go get your name out there! 5. TAKE RISKS – Don’t be afraid to run with an idea that might be a little off the wall. Sometimes it pays to be different… just make sure you’re still meeting your client’s needs. 6. BE PUNCTUAL – Always meet or beat your deadlines. Even if they client seems “ok” with you being late every now and then, it will leave a better impression if you get them what they need when they actually want it. 7. BLOG – Whether you start a new blog or just pay more attention to your current one, blogging is a way to help get you thinking. It opens your mind to work other than your own, gets you thinking both critically and creatively and gives you a place to showcase your work and get feedback on a regular basis. 8. BE CREATIVE – Yes, as graphic designers we’re creative day in and day out. Try expanding your horizons though… find a new creative outlet that you enjoy – painting, jewelry making, crafting, etc.